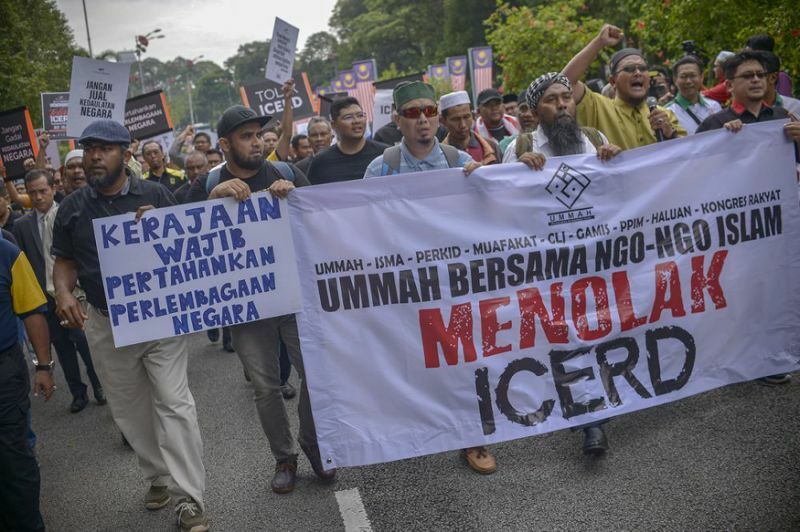 Opposition to the ICERD was getting a bit too hot for everyone's comfort. IN a way it can be said that common sense has prevailed, now that the government has decided not to ratify the United Nations’ International Convention on the Elimination of All Forms of Racial Discrimination or ICERD because for a while it looked like it was slowly but surely fanning racial sentiments which could lead to something worse. As it is the police will be talking to nine persons who had made statements deemed “a bit hot” for many people’s liking. 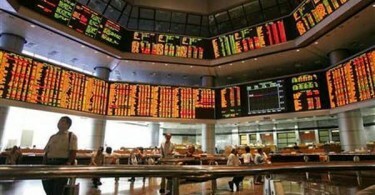 But the fact is that in the last few decades you would be hard pressed to remember the last time any Malaysian – layman or politician – had mentioned ICERD. It was that foreign, so alien to this country and her people. There were statements here and there from the foreign affairs people, usually before an international conference, about what our leaders would be touching on but beyond that, most will surely agree that in a personal way, none of us has felt directly affected by these conventions. This is mainly because most cannot see the tangible benefits these conventions bring – or how their interests will be adversely affected. Thus it was quite titillating that one of these usually lengthy pieces of paperwork should rile up many Malaysians. Searches online showed that the ICERD has 179 parties, of which 177 are UN member states, since coming into existence in 1969 but there’s a blank under the category of “non-parties”, although by now many Malaysians know that we are one country that has not ratified it. A UN convention or treaty is legally binding because it is concluded under international law and a party to it can be taken all the way to the International Court of Justice if deemed to have done something against it. But the downside with these conventions is that a country may choose to be a non-party and basically nothing happens. The United States, for example, has not ratified the Convention on the Law of the Sea or the one on Children’s Rights but life goes on for it. In the case of the ICERD, many countries have also documented reservations relating to issues about obligations being beyond existing constitutions, on hate speech, immigration and indigenous people. Monaco and Switzerland, for example, reserve the right to apply their own legal principles on the entry of foreigners into their labour market. For Tonga it’s about reserving its rights not to apply to any restriction on the alienation of land held by the indigenous people. However, any reservation is considered incompatible if two thirds of the parties object. Additionally, at least 23 parties do not consider themselves bound by the convention’s Article 22, which some interpret as allowing disputes to be referred to the International Court of Justice only with the consent of all involved parties. This clause has been invoked three times, by Georgia, Ukraine and Qatar. Where this current Malaysian experience is concerned, it’s difficult to find any strong or compelling reasons to suddenly raise the need for ratifications 39 years after the convention became a legal document. And anyone wise enough would have been able to anticipate what the reactions would be from those who may feel unfairly affected by the ratification. There is also the issue about needing to amend the federal Constitution if the ICERD is to be ratified. 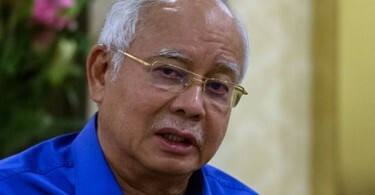 As former prime minister Datuk Seri Najib Razak stated recently, the Barisan Nasional government had looked into the possibility of ratifying it twice, in 2011 and 2015, and decided that it encroached into the federal Constitution and the country’s social contract that was agreed upon by all political and community leaders before the constitution was drawn up. Now and again we hear stories about MPs quitting the parties they had contested under in the May 9 elections, with most opting to become independents. There has been talk too about mainly Umno MPs crossing over to the Pribumi Bersatu chaired by Prime Minister Tun Dr. Mahathir Mohamad, with a former minister and a once senior Umno leader rumoured to be the one working the hardest to win over most of his party colleagues. He himself though remains with Umno. Mahathir, on the other hand, has said that these MPs must first quit their parties and become independents for a period of time before they can be considered for membership in his party. The one point that certain Pakatan Harapan leaders seems to have been confused about is on membership itself. Anyone who wishes to cross over from BN or Umno to the other side will apply to join one of the parties in Pakatan the coalition. For the peninsular, that means Pribumi Bersatu, Amanah, PKR or the DAP. There is no such thing as trying to be a member of Pakatan per se because just like the BN, there is no direct membership into Pakatan. If they can’t get it right even on something this elementary, you wonder if they are capable of dealing with more complex issues.